How can you not?!?! Say it again: Piskey Whickle! My high school mascot was a Sailor. Yes, that means that as a female athletic participant all three seasons, I was a Lady Sailor. I guess subconsciously I took that label very seriously. I talked like a Lady Sailor: Lots of cuss words, but no use of dirty words for girlie parts. I drank like a Lady Sailor: Meaning I drank lots. But mostly wine and champagne, if available. I ate like a Lady Sailor: Steak? Italian subs? Nachos? The Two by Four? Yes, please. Even if my date ordered soup and a salad, I still got the bacon cheeseburger. This area was really just straight up Sailor. There was (okay, okay and is) nothing ‘Lady’ about the way I eat. As I have grown older I have greatly matured past my old Lady Sailor days. 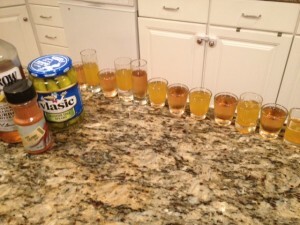 A shot of cheap whiskey followed by a shot of pickle juice (regular or spicy), of course. 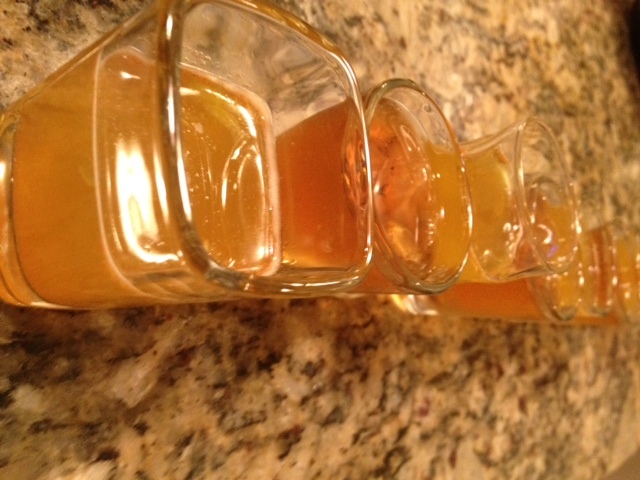 We fell in love…with the Pickleback, of course. As with most things since having kids, we were a little late to this fad. 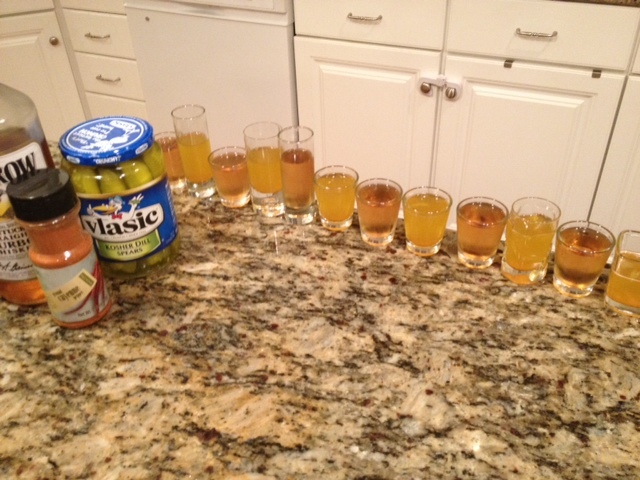 We told our friends enthusiastically all about Picklebacks. Whatever. Just wait until you tell us about the existence of neon green poop that can reach all the way to an infant’s neck. A week later we received this article link from our friend – who is also Carlitos’ Godfather. Pretty sure most people’s kids’ Godparents email them frequently about whiskey and such. If you can wade through this magniloquent piece about such a classy topic as the combination of whiskey and pickle juice, there are actually some true gems to be unearthed. Like the fact that many believe the concept originated with Texan truck drivers who used the briny chaser as a way to have some whiskey without having to stop frequently to pee. 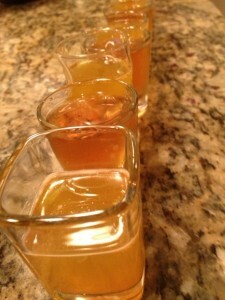 Or that following whiskey shots with shots of pickle juice prevents a hangover. I’ll take pickle juice over Menudo any day. I do have to say that the last time we were visiting my husband’s family we introduced them to the Pickleback and even though we did a gazilion several group Pickleback shots, we all looked pretty chipper the next day. I can testify that I did not have a hangover…and that amount of Old Crow should have had me curled up in a ball on the bathroom floor. Now that I think about it, I’m not sure I peed all weekend either. How Lady Sailor is that?!!? This entry was posted in Chronicles: observations of the outside world and tagged hangover cure, lady, New York Times, Old Crow, pickle juice, Picklebacks, Piskey Whickle!, sailor, shots, whiskey. Bookmark the permalink. Follow any comments here with the RSS feed for this post. Post a comment or leave a trackback: Trackback URL. 2 Responses to Piskey Whickle!!!! This lady sailor enjoys a shot of piskey whickle with Ms. G after a long game of pickle ball. Thanks for clueing me in to this trend. Man, I wish you lived closer!